Kenneth R. Skornia, 68, of Hermann, Missouri, passed away on Wednesday, October 1, 2014 at his home. Mr. Skornia was born in Washington, Missouri on February 23, 1946, the son of the late Joseph and Mathilda (Holdmeyer) Skornia. He was the husband of Joan C. (Brueggemann) Skornia. 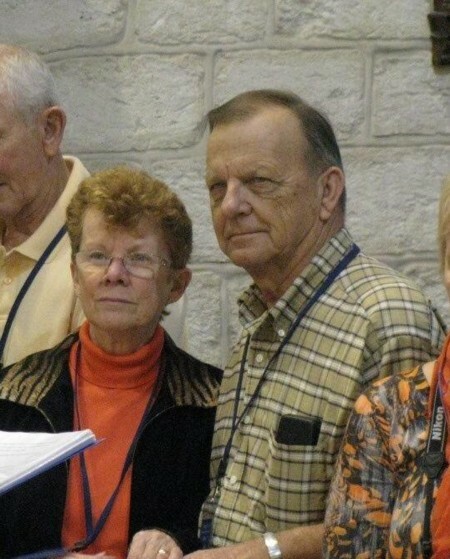 They were married February 19, 1966 at St. Joseph Church, Neier, Missouri. Joan survives at the home. Kenneth is also survived by two daughters, Beverly McKee & husband Dan of Wildwood, Missouri and Connie Kloppe & husband Rick of New Haven, Missouri, by two sisters Marie Zimmermann of St. Louis and Virginia Bell & husband Jim of Union, by three grandsons Owen Buchheit of New Haven and Jack & Alex McKee of Wildwood and by numerous nieces, nephews, great nieces and nephews and great-great nieces and nephews, cousins and countless friends. He is preceded in death by his parents, by two brothers Joe Jr. & Clarence Skornia and a sister Leona Hanneke. 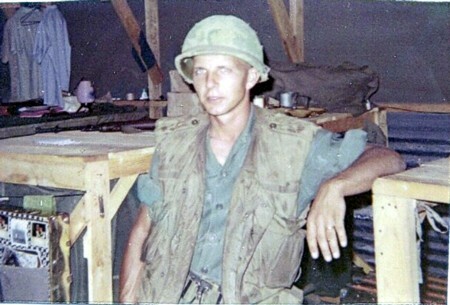 Kenneth proudly served in the U.S. Army during the Vietnam War. He was a member of St. George Church, Hermann, Missouri. He worked for Chrysler Corp. in Fenton for 30 years. He was a OATS bus driver in Hermann for 16 years and was involved with Birthright of Hermann. He enjoyed fishing, hunting, traveling, tinkering with motors, gardening, doing yard work or lending a helping hand where ever it was needed. Visitation will be Friday 3:00 to 8:00 p.m. at Toedtmann & Grosse Funeral Home, Hermann, Missouri. Funeral Services will be held at St. George Church, Hermann, Missouri at 10:00 a.m. on Saturday, October 4th, with Father Bill Debo officiating. Burial will be at St. George Cemetery. Memorials may be given to Birthright of Hermann, St. George Church Roof Fund or Wounded Warriors Project. C/O Toedtmann-Grosse Funeral Home.